Learn How to Use the Best Detoxification Product - Your Body! Don't spend a fortune on detox pills that don't work. The best detoxification product available is your body! 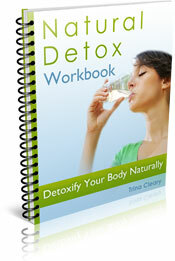 Learn how to detoxify your body naturally with the Detox Workbook. The Detox Workbook guides you through each all natural detox diet with instructions, recipes, checklists and reflections. Get yours in time to make a fresh start in 2011. Special New Year's price of only $7.00. Offer lasts until January 31st, 2011.